Is located between tropical paradise, surrounded by the lush green forest of the Sierra Madre mountains and bright blue waters of the Pacific Ocean Is located between tropical paradise, surrounded by the lush green forest of the Sierra Madre mountains and bright blue waters of the Pacific Ocean. 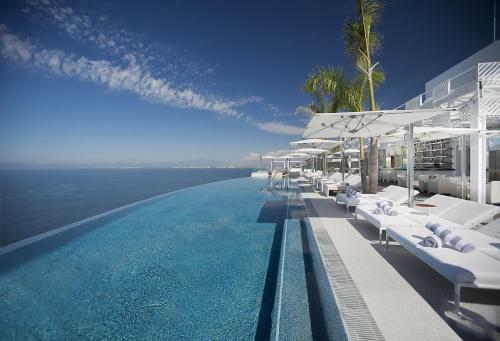 The Resort luxury oceanfront is located just some minutes from south of Puerto Vallarta. Ownership of multiple towers is part of the traditional landscape with innovative sophistication and understated luxury, a unique experience for its elite guests. The hotel, live in harmony with nature, resulting in an exquisite balance between it and the man-made wonders. The beauty and charisma of Puerto Vallarta lies in its unique blend of traditional Mexican charm with the modern conveniences of a cosmopolitan atmosphere. discover all that Puerto Vallarta can offer you!